trust it to the experts!!! Realty Executives in The Villages has been managing and renting private homes for over ten years, and we have elevated it to a science. Realty Executives in The Villages: Is the number one rental, and selling Multiple Listing Services (MLS) agency in The Villages. We have been doing this for many years, and we will be here for many more. We have a staff in excess of sixty refreshingly professional Real Estate Agents, and support staff. If you want to rent, buy, or sell in The Villages, you want to talk to us. If you just want to get an idea of what your home can list for, you want to talk to us. Don’t trust your home and your investment to just anyone. Do yourself a favor, and talk to us. Do I know how to find and screen good tenants? Do I know all of the laws and rules involved? Will I be available when problems arise? Do I WANT to be available when problems arise? Am I prepared to file and pay sales and tourist taxes for 12 months of the year? If the answer to these questions is no, then you need a professional property manager! Whether you are going to rent your home for the rental seasons, or you are a part time resident yourself, there are going to be times when your home will be vacant for extended periods. Why worry about it? Our Empty Nest service is second to none. We regularly visit your home and spend extended periods of time inspecting and examining and just making sure that everything is ok. Your water is not leaking all over the place, the irrigation system operates properly, all your appliances remain in good working order, papers are not piling up, all of your landscaping and other service contractors are doing their jobs, and your home does not have that I'm empty, come on in and rummage around” look. It's all about peace of mind. We treat your home as if it was our own!! 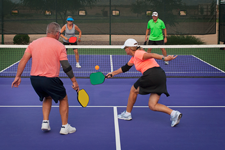 As a master planned retirement community, The Villages offers numerous forms of recreation. The majority of the costs are paid for via the monthly amenities fee assessed to residents (the facilities are owned by the centralized CDDs discussed above). The centerpiece of The Villages is its numerous assortment of golf courses. The ability to play "Free Golf for Life" is a key component of The Villages advertising campaigns (though technically the statement is inaccurate as the costs are covered by the mandatory monthly amenity fees assessed on each residential lot). As of June 2012, The Villages operates 39 courses. 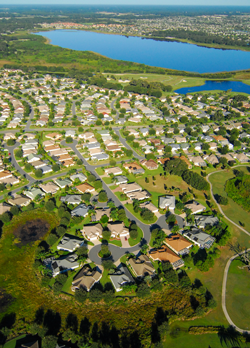 Beyond the golf courses and recreation centers, The Villages also operates numerous softball fields, a polo stadium (The Villages Polo Stadium), and a woodworking shop, plus the Lifelong Learning College. The newest softball complex, Soaring Eagle, opened on January 16, 2015.